Where did he get figs that don't exist? There are zero GKs from Masamune. I waited intently for merchandise of the show only to be tragically and uncharacteristically betrayed by the otaku consumerist machine. Finally got around to watching Momoko. It was pretty well done. Also made me realize it's been a long time since I've seen an elementary sports day in anime. I wonder if they even still do those. This looks like it will wrench my heart. I ended up watching it and cried a lot. It's not easy being Gosick. Is this season the signal of the resurgence in pink haired main heroines? OP cutie finally showed up! Pregnancy fetish, this is just how he gets away with it. Shes not scary shes just a girl in love! Catching up with last season… IT'S HOTARUUUU!!!!!!!!!!!!!!!!!!!!!!! I am unable to form a sentence without memes. Just a sec, I gotta empty my pee bottle. get their souls stolen by their phones. It's like a metaphor for real life, amirite? Did nenmin add a new epic filter? they've been in place for a long time, c u t i e ! What was it a filter for? im gonna watch shoujo shuumatsu ryokou! Lovely Nico Nico Nii Nico is cute!! She's very cute, is this any better than that other sword art thing. 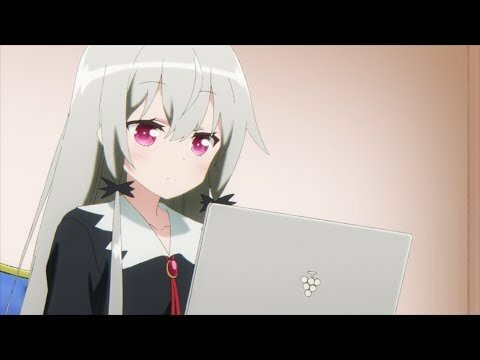 Are 720p anime file sizes getting smaller? Is megabyte technology simply improving? Yes, I do it quite often. I usually have a hard time getting into new anime and I rarely watch anything when it first airs, but I always enjoy rewatching or finishing old anime I'm familiar with. I sometimes like going back and watching things from when fansubbing was still alive. 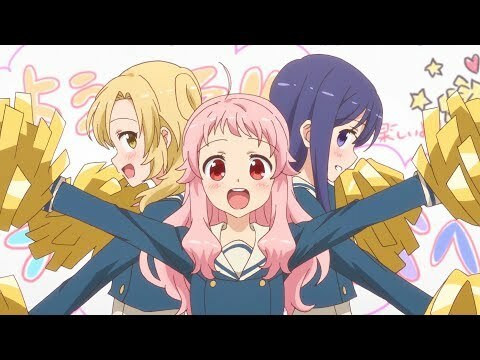 The light-hearted magical girls are boys this season. no toga scenes this week, I recommend skipping this episode. Oh my gosh we finally get to see suzukas cute horsey ears without her ear muff thingies!!! The question still remains of what is under Gold Ship's earmuff things though. Gold Ship knows some advanced techniques. Bowl cut is so yesterday. Umbrella cut is the future! Ahh what a great show I ended up marathoning it in 2 days! Reminds me a lot of plastic memories and mikakunin, I really recommende it. I like to think that Alec spends about a year tending to Charles broken heart while serving as his bodyguard, until on a moonlit night she can't hold back her feelings anymore and confesses to him and he says yes! What do you watch from the summer season? I have chosen, I think I will look "Hyakuren no Haou to Seiyaku no Valkyria", "Isekai Maou to Shoukan Shoujo no Dorei Majutsu", "Island" and "Satsuriku no Tenshi". So far Asobi Asobase, Hataraku Saibou and Back Street Girls. I'm also going to catch up on Yama no Susume. I really like Asobi Asobase. It's the look of "love". wasn't too impressed by ep. 1 though...new announcer sounds like he's in his 20's, and it was mostly recap/world setting stuff from Kaiji. Whoa, thank you, I didn't even know there was a new Fukumoto anime. There are a lot of good looking shows this season! I've already fallen behind, though. I've fallen behind by 5 seasons. Way to ruin a touching scene, what the heck. Well that was not what I expected at all. Is this a modern Utena? Why does she wear the eyepatch? It reminds me a ton of Kunihiko Ikuhara's work, mostly Utena like you mentioned and Mawaru Penguindrum with the discussions of destiny. Another show that comes to mind is a little of Princess Tutu. At first I thought it wasn't that great but now I'm pretty much hooked as it progresses. The only complaint I have is that the main two protagonists fall flat compared to the side characters. Yeah this has been looking interesting so far. The TL note was pretty nostalgic too, can't remember the last time I saw one of these. Mimorin's character reminds me of Nyaruko every time I see her. It's almost the same hairstyle minus the ahoge and her facial structure is very similar. Don't use HorribleSubs, any of the fansubs are better. And as for the fansubs, there's ACSS, Chyuu-PAS, and StarlightSubs. ACSS and StarlightSubs are edits of the official (HS) script, Chyuu-PAS is original. ACSS and Chyuu-PAS are "professional" fansubbers, and generally have more natural-sounding English while StarlightSubs are "amateurs", but StarlightSubs has been following the franchise for longer and is more knowledgeable about the series than the other fansubbers (and the actual professional subbers too), so they might be better at deciphering ambiguous Japanese. In terms of literalness in wording Chyuu-PAS takes the most liberties and utilize the most slang (ex: the use the phrase "whole nother level"). ACSS and StarlightSubs are similar to each other (being edits of the same source), with ACSS having better sub lengths (ie not too much at once) and typesetting. This is all based only on ep 1 btw. They went through the trouble of flagging every line by character but then didn't give any of them unique fonts? I'm so confused. I'm watching this with Esperanto subtitles! wow do you know esperanta? 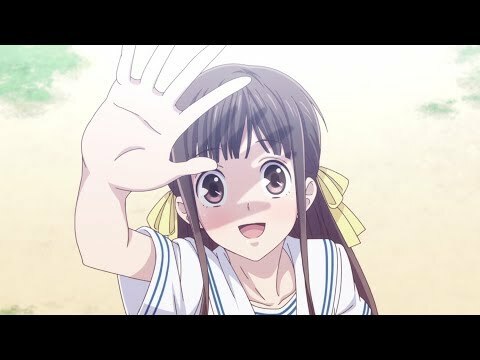 Are many shows subbed in esperanta? I'm not very good at it because I'm too afraid to use it with others. I didn't know there was only 11 episodes for Jashin Dropkick... kinda sad now. I think its AOTS easily. I was hoping there would be more... now I don't want to watch the last one. they stopped subbing airing episodes, and are going to start over once blu-rays are out. It's okay, she just rejected instrumentality. I always feel a tad silly when I don't see things that should be obvious like the allegory with the giraffe and the play starlight. Thankfully they bothered to explain it for me rather than leave it to blog posts and youtube videos that still leave you confused at the end. I feel like this could've been a notable show, but it fizzled out into a very average ending. Maybe you really do need to steal someone's kirameki to create the ultimate stage... I think Bananice! was the high point. This show is like lots of Kunihiko Ikuhara(not that they had any involvement) in that the music, and directing are so freaking good that nobody cares how it ends. They're moreso so sad that it did in fact end. I think that Utena had an extremely memorable ending. Wow I thought it ended last week?? to be fair, it probably is going to be another interesting plot hook that turns into a **** harem anime after 2 episodes. This show is so goofy I love it. Like how many millions must it cost to launch the rocket just to catch a few fish. But its still super fun! bad c u t i e Yu better watch out, 'cause Deputy Silverstone is bringin' law to this town! Skirt flippers must be stopped. Seriouska needs to do something before Chikuwasuka is ruined. I seriously can't shake how similar she looks to you-chan. Its too late, bad c u t i e yu has sunk her fangs in and corrupted her into a total pervert. It resembles the trans pride flag and the other girl she's talking to is trans. I guess it's too specific to be a coincidence then. I thought Glasslip was universally panned. someone get a seamstress to fix this ogres sleeves STAT! 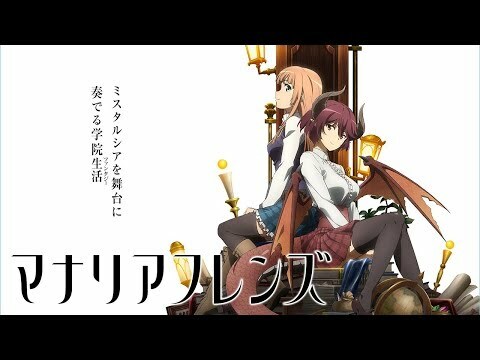 It's a pretty cozy show and the animation is excellent. I really like Hitomi. Wish there were more shows like this. Maybe translatorsuka should've picked different words for akane/tasogare, they're starting to contrast them a lot now. The most recent episode was her first appearance so about 2 minutes! uwaaa... health bullies making Tonegawa-chan eat in the toilet. Stinky c u t i e Yu is gonna get Asuka all gross. It does seem like they just get put in stasis when the twilight consumes them, and they hinted at recovery with the clutter gemstones, so I'm not writing them off yet. I'm just stating facts here. Better be careful about letting your kids hang around with dangerous gal onee-chans. This didn't feel like an ending at all, why is it allowed to let the story stay in limbo until a second season that may won't even happen? Ahh this is so horrible. There's nothing worse than hearing a person you love talk about how much they hate themselves and stuff. I thought it had a really satisfying ending with the final scene. Though I do kind of wish we got to see how the play turns out, the limbo and feeling of uncertainty around it feels perfect for the series which uses that as such a central theme. It wasn't satisfying at all! I really wanted to like the pair and was hoping the last episode would bring salvation but no. They ended it as an abusive relationship, complete with emotional blackmailing with threats of suicide and the abused developing a bad case of Stockholm syndrome. Yuu said she wanted to learn how to love, but how could she love when she considers herself so worthless that she just voluntarily threw herself in front of her sempai to become her plaything? Touko should know that Yuu's "blunt responses" and "uninteresting conversations" are everything but "utterly normal reactions" and you can't love someone while prohibiting them from loving you back. That's not love. I really liked it. They showed both Sayaka and Yuu trying to help Touko cope with the big reveal about Touko! Sayaka helps Touko deal with the fact she'll never know everything about her sister, whereas Yuu tries to help Touko with realizing she can be herself. Touko also realizes she's self-contradictory in her love of Yuu. Yuu doesn't feel worthless or anything like that, and she is truly in love with Touko but she just doesn't realize it yet. 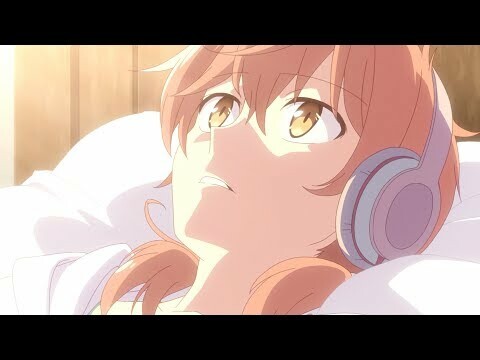 The final scene is Yuu trying to "wake up" Touko which is really nice symbolism for all the work she's doing with the play to try and help Touko move on. I guess we'll just have to disagree though, I thought it was a beautiful ending. Too bad we'll probably never see the play animated, but at least now I have a really nice soundtrack to listen to while I read the new chapters. New season officially started! Whats nenfrens plan on watching? not sure yet, I'm still finishing up some stuff from last season. I'll check out Ueno-san from this season, but also finish off Jojo and Slime Isekai. I was so disappointed that we only got a recap episode for Jojo instead of something new, so much that I just rewatched some previous episodes rather than the recap. I like this one a lot more than the show from last season. kinda reminds me of Ayumu's outfit. wanna try some pills /nen/? First time's free. I'll stick to herbs, thanks! It still has problems, but at least the main character wasn't literally trying to groom the main little girl. Grooming is healthy and all little girls should be groomed for good hygeine. I'm actually fine with that. The play was the driving force behind the girls' growth, but the play itself isn't what's important. It's just the background for and justification of the story that unfolded. This show gets better with each episode. Thinking its the sleeper hit of the season. Whenever I see her ribbon, I can't help but think she's from Finland. Guess we can call it DATE-A-LOLI now. Tatsuki got a new show this season. I've fallen behind on most shows this season. Just caught up on slime, the new arc looks like it will be nice. Not sure what else I will bother to catch up on. Smokeweed the animation finally lives up to its name. Been binging on this show since yesterday. I really like Miyako's fuNnY faCes! Kemurikusa means tobacco not weed, well literally it means smokegrass so it could be applied to something so degenerate as well but seeing as it is Japan and there is such a stigma against it there I don't see that it would be used in that context for the title of an anime. It's okay, they put protections on it so kids can't use the smokeweed. Maybe you need a medical license for some kinds too. Whether 'kemurikusa' means tobacco r weed please be mindful both can have harmful effects on your health so 気をつける! Wow, Kemurikusa was really good! I liked it even more than Kemono Friends. I hope Tatsuki keeps making anime like this. It was okay but there was a lot of failed potential I thought. I hope he keeps making it too so he get better. I think he's a really good director so it'll be cool to see what he can do if yaoyorozu gets more money. Ahhhh what a nice ending to this episode! I really want to learn the piano song that plays during this part, apparently the ost releases in another few months, I can't wait to listen to the full version then. It was alright but a little underwhelming. Perhaps I overstretched my expectations too much since I really like the manga. wow look at the floopers on those! But really, what were they thinking when they made the Kaleid Liner movie? It's the bonus special from the Prisma Illya Oath Under the Snow bds where they talk about the fan complaints about the movie. There's only one but if you liked the TV show then yeah watch it. It's got Miyu's backstory. Wow, just how many nights did he spend standing in front of that shrine?